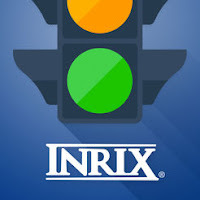 INRIX, Inc., the world leader in mobility analytics and connected car services, today published the 2018 Global Traffic Scorecard that identified and ranked congestion and mobility trends in more than 200 cities, across 38 countries. Americans lost an average of 97 hours a year due to congestion, costing them nearly $87 billion in 2018, an average of $1,348 per driver. In the U.S., the 2018 Global Traffic Scorecard analyzed congestion and the severity of it in the top 60 urban areas. 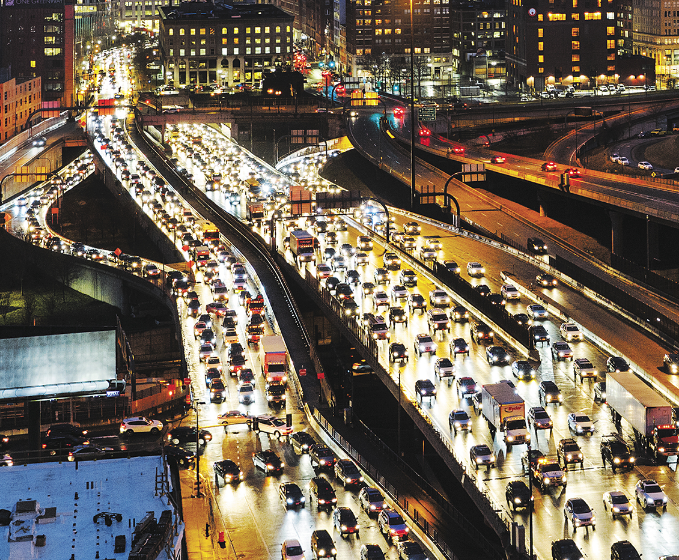 Boston (164 hours lost due to congestion) and Washington D.C. (155 hours) ranked as the most congested two cities in the U.S., over 15 hours per year more than the next most congested cities, Chicago (138 hours) and Seattle (138 hours). 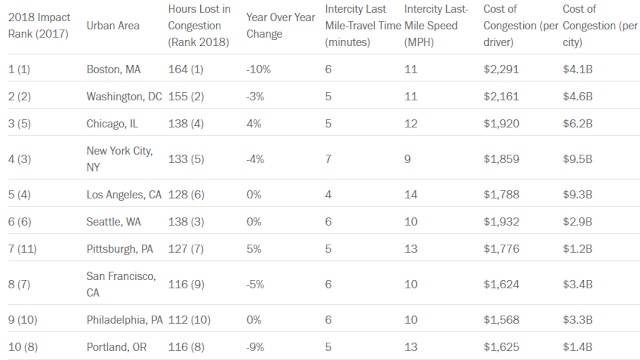 While famous for its congestion, Los Angeles’ (ranked fifth in impact; 128 hours lost in 2018) constant gridlock does not have the severity as the other top-ranked cities due to its sprawling geography and massive road network. 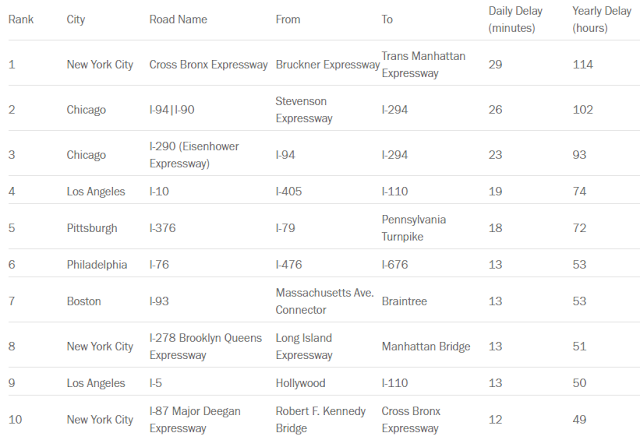 New York City was also one of the country’s most congested metros, with the ‘last mile’ taking drivers seven minutes. In contrast, Los Angeles (four minutes) has employment across a wider geographic area, preventing severe downtown congestion experienced in more centralized cities. 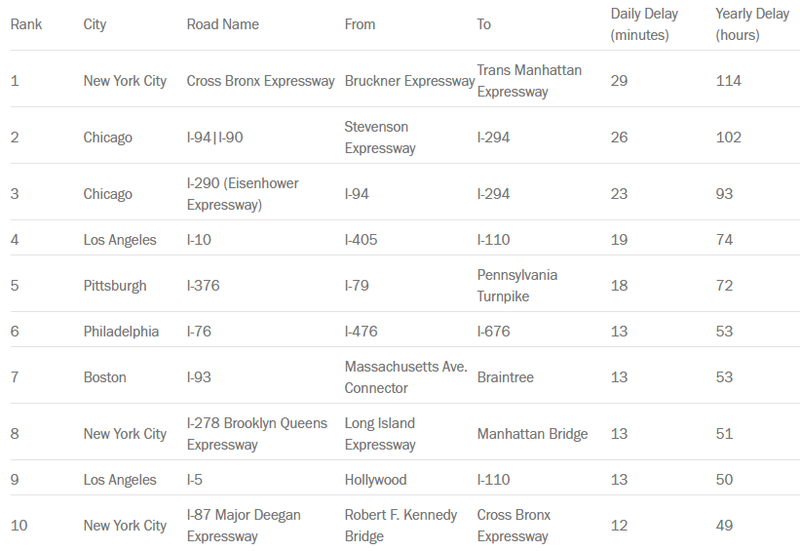 For the fourth year in a row, the Cross Bronx Expressway (I-95) in New York City tops the INRIX list of worst corridors, with drivers wasting a total of 114 hours per year at peak hours in congestion. The list of corridors is dominated by the Top 5 most congested cities in the U.S., accounting for nine of the 10 worst. Surprisingly, Washington D.C., number two in the most congested cities ranking, does not have any corridors that appear on the list. Despite extreme levels of congestion, traffic is diffusely across the region and concentrated to a high degree on major arterials.